For weeks, I have been stalking the wonderful blogs participating in the Math Workstations Book Study. 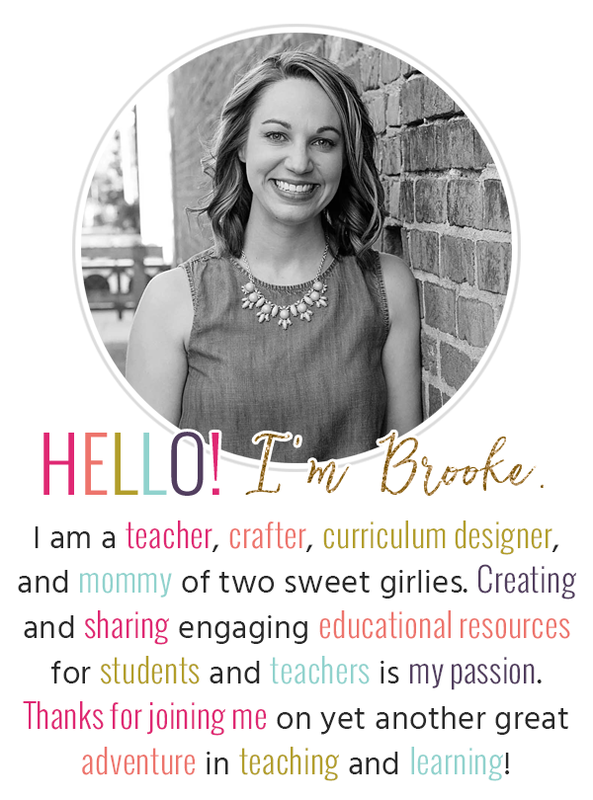 I did not have my own blog at the beginning of the summer, but now, I am excited to say I do, which means I can finally share some of my own goodies! 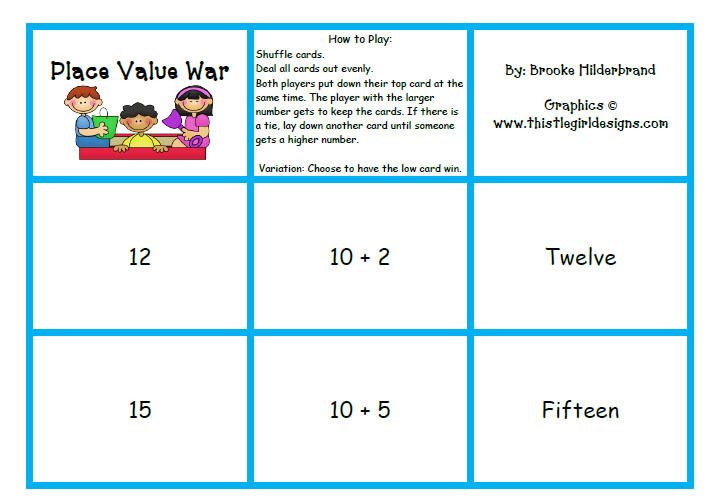 I made this version of Place Value War to go along with this chapter's resources. It is similar to a game from Really Good Stuff. The download includes two versions--one with numbers from 0-100 and one from 100-1000. I hope it is useful for some of you ladies! I have learned so much from reading your blogs--thank you so much for your generosity and wonderful resources! I hope to share more soon! 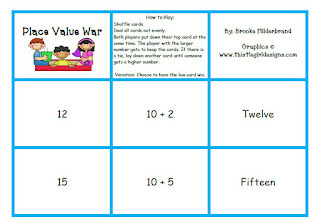 Click Here to Download Place Value War:). Please let me know if the link/download doesn't work...I was doing some major guess and check work to upload it! I love this game! Thanks for sharing and linking up! This looks like fun! Place value is always such a tough thing to teach in first grade! Thanks for sharing!